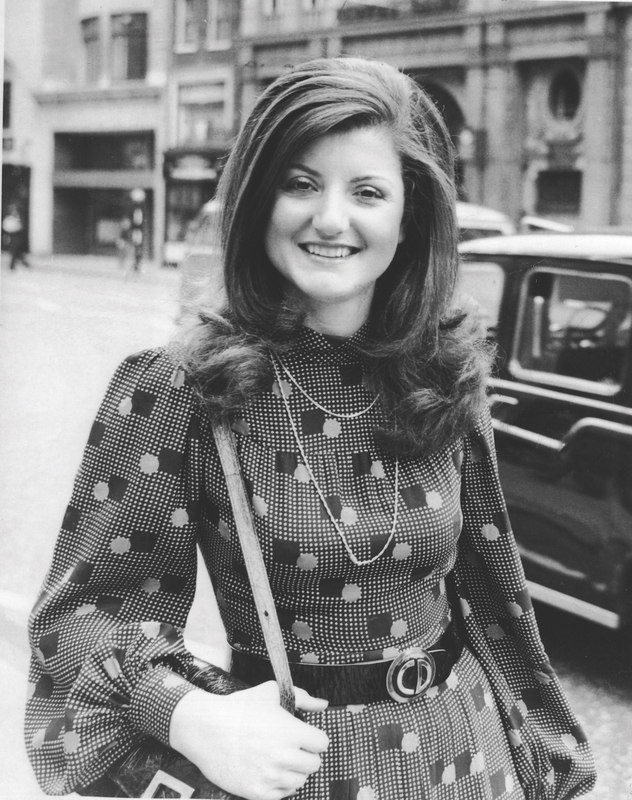 Having run for governorship against Arnold Schwarzenegger, founding The Huffington Post, & launching a new health start-up, Arianna Huffington is a wellness warrior with many feathers in her cap. The experience left her wondering: was her success achieved because of her willingness to work 18-hour days, 7 days a week, or was it in spite of it? She staunchly believes it was the latter, and set out to radically change her lifestyle, adopting small changes to keep her on track and out of doctors’ waiting rooms. As part of this realisation, Arianna also changed her definition of success; where before it was measured around traditional metrics of money and power, she now considers a new, third metric – her wellbeing. This would govern the health of her relationships, her willingness to be creative and generous, and the ability to pursue lifelong passions – in short, all the things we celebrate in eulogies, which often don’t mention overtime, higher salaries, or PowerPoint presentations. “I made a lot of changes to my life, and I also brought policies that reflected the science of wellbeing into HuffPost. Of course, there are obvious challenges in a 24/7 newsroom, but we did a lot to try to prevent burnout,” says Arianna. This started with making it clear that no-one was expected to check their work email outside of working hours, as well as installing 2 nap rooms in the office to help people recharge when needed. A few years later, Arianna went on to release her fourteenth and fifteenth books. She detailed her wake-up call and subsequent changes to her life in Thrive, released in 2014. Two years later, she then published The Sleep Revolution, which explores the dangers of the sleep-deprivation crisis, and reveals the science behind the transformative power of sleep. Arianna tells anyone who’ll listen that the first step she made in achieving a more healthy and balanced life was to make sure she always got at least 7 hours of sleep every night, and says she advises people to “sleep your way to the top.” Although she made some great inroads at HuffPost, around the time of releasing The Sleep Revolution Arianna decided to officially detach herself from running the business to dedicate her full attention to running her new venture, Thrive Global, that not only shares the message of the third metric of success but also values it internally. “The real key, and one we’ve also now imported into Thrive Global, is to structure the incentives in the right way – to make it very clear that burning yourself out is not celebrated and rewarded,” she says. “[!we!] change the way we work and live by putting into action the growing body of science that shows that when we prioritise our wellbeing, our productivity and creativity go up across the board,” she says. “The way Thrive Global is redefining success isn’t by asking people to do less of a good job; it’s by giving them the tools to do a better job – and be happier and more fulfilled in the process.” Despite the more recent turn towards the wellness industry, Arianna has always been a crusader for fulfilment, willing to overcome fears and failure if it meant pursuing her passion. Failure isn't the opposite of success, but a stepping stone. “We also encourage people to let colleagues know when they’re feeling overwhelmed and take time off,” Arianna adds. The company supports small steps of both its clients and its employees to improve self-care, such as getting enough sleep, meditating, and removing smartphones from the bedroom. By leaning back, we become much more effective at leaning in, moving forward… taking care of yourself so you can be at your most productive, creative and intuitive. While Facebook COO Sheryl Sandberg has made prevalent her message to working women that they must ‘lean in’ to opportunity to achieve success, Arianna has alternatively spoken about how ‘leaning back’ can make for wiser leaders. However, this does not contest Sandberg’s message so much as it serves as a precursor. “The concept actually comes from one of my favourite French expressions, ‘reculer pour mieux sauter’, which roughly translates as ‘leaning back to jump higher’. That’s what cats do,” says Arianna. 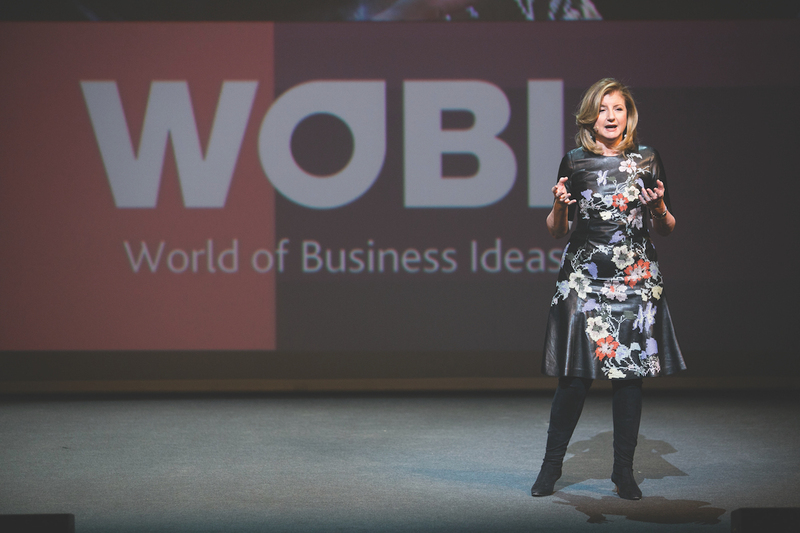 Arianna Huffington will be presenting at the World Business Forum Sydney, running from 31 May – 1 June 2017.